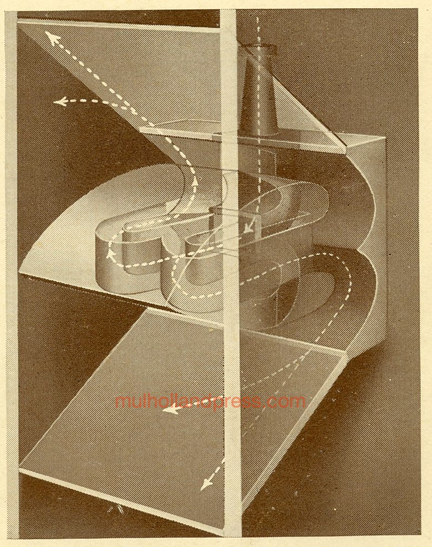 Above is a drawing of the revolutionary horn that appeared in Victor's new Orthophonic Victrolas in November, 1925. This horn occupied nearly all the space in the cabinet and in its largest format had a length of over six feet from the needle to the mouth of the horn. Record reproduction was vastly improved over the previous generation Victrola and the company sold a record number of Victrolas in 1926. The new instruments for the 1926 model year included talking machines in several sizes and radio-phonograph combinations. 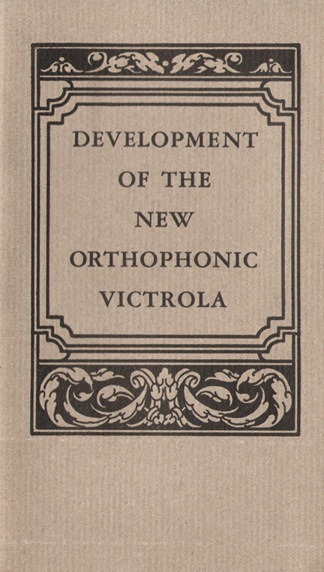 The radios were supplied by RCA, which would eventually purchase the Victor Talking Machine Company. In 1927, Victor introduced the first commercially successful record changer. Victor's first record changer was used in both acoustic and electric phonographs. This record changer could play either 10-inch or 12-inch records, but all the records in the program had to be the same size. The second style Victor record changer introduced in late 1928 had the advantage of playing 10-inch and 12-inch records intermixed. This video shows the changer in operation.